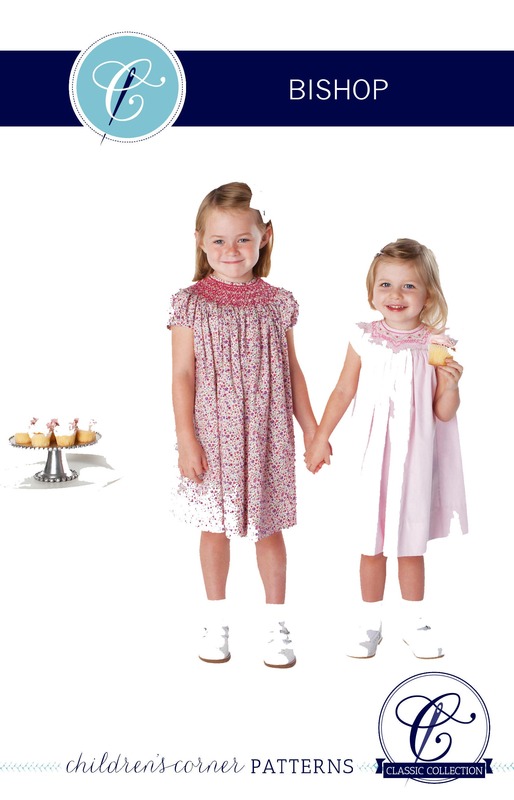 The new Children’s Corner Bishop is the classic, raglan-sleeved bishop with smocking around the neck. It falls just below the knee. 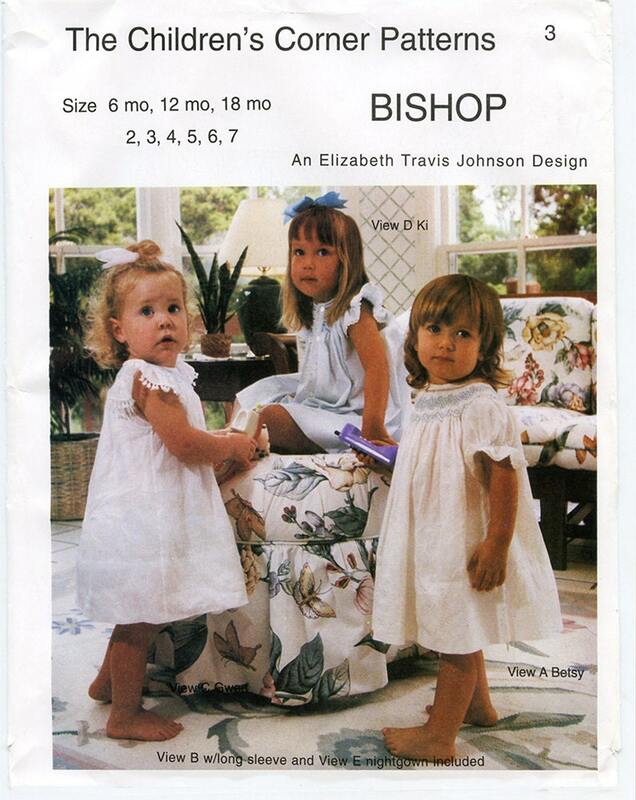 The revised Bishop pattern is inspired by the original Betsy, Gwen, and Ki bishop patterns by Elizabeth Travis Johnson, and includes two views that close in the back. VIEW A has an easy self-faced placket with a seam up the center back. VIEW B has a continuous bound placket, and the back is cut on the fold. 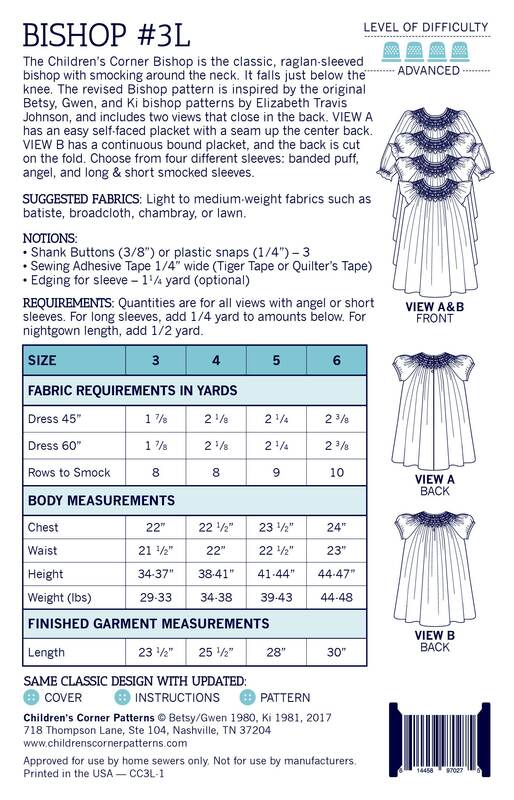 Choose from four different sleeves: banded puff, angel, and long & short smocked sleeves. 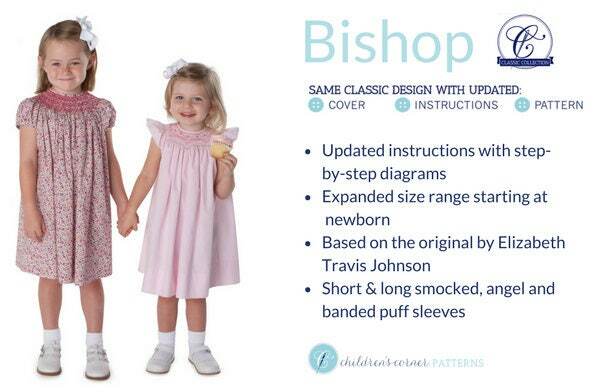 The Bishop pattern was completely updated in August 2017. 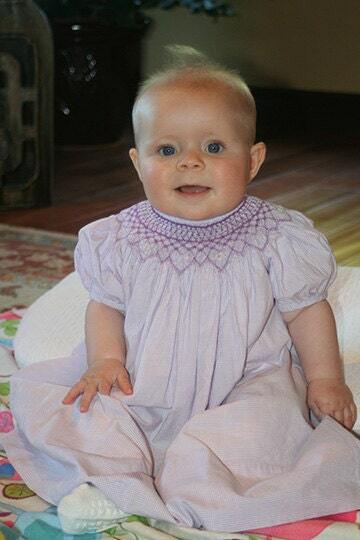 This new pattern has an expanded size range which now includes newborn and 3 months. The instructions have been completely re-written with step-by-step diagrams. 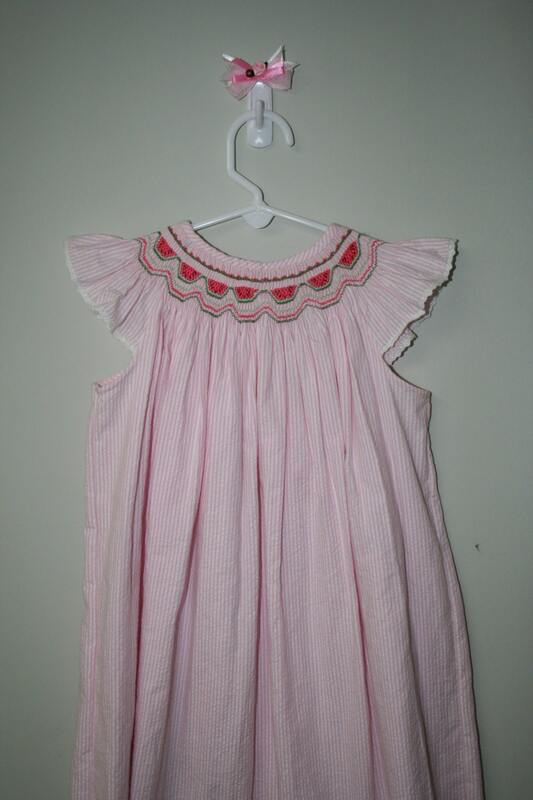 Each size and piece is now unstacked and is based on the original Elizabeth Travis Johnson Bishop designs. 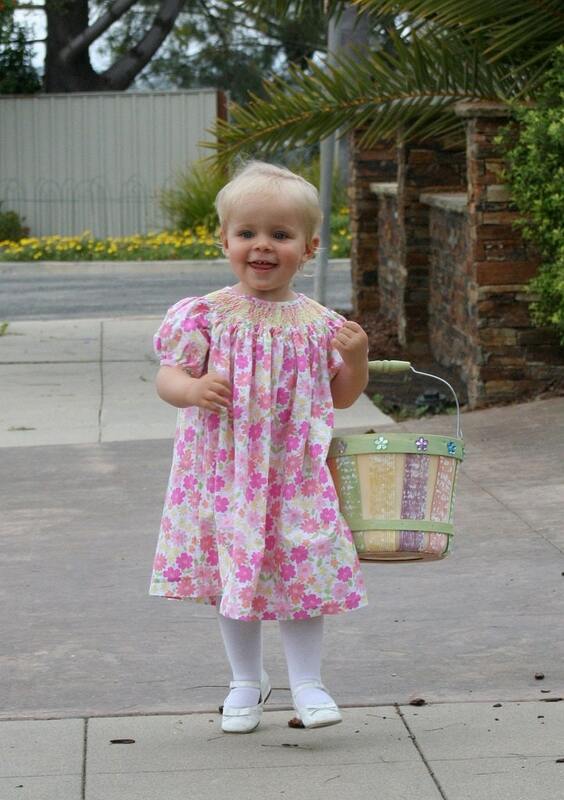 Available Sizes: Newborn-24 months, 3-6yrs in separate packages. 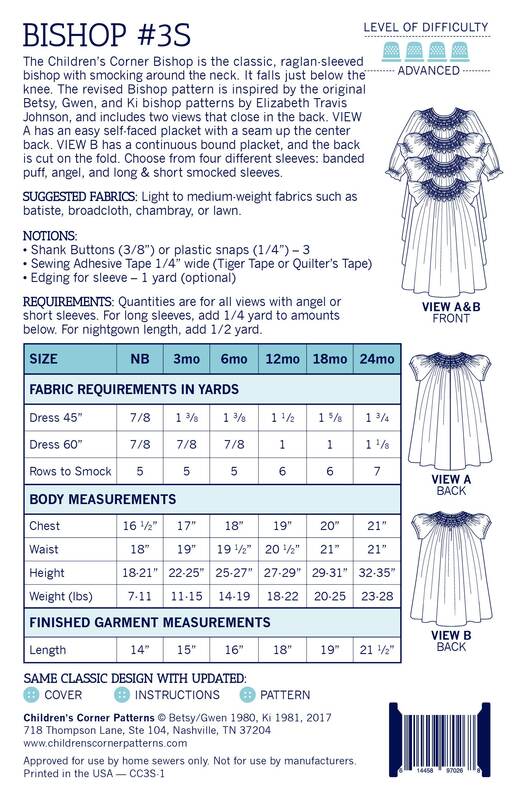 See Measurement Chart in gallery above for correct sizing. Shipped very quickly and just as described, thank you! !